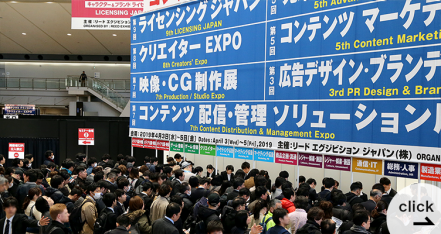 CONTENT TOKYO is a comprehensive exhibition consisting of 7 specialised trade shows related to content. This is the venue where content creators, distributors, solution/technology providers, marketing companies, and licensing professionals get together under one roof. 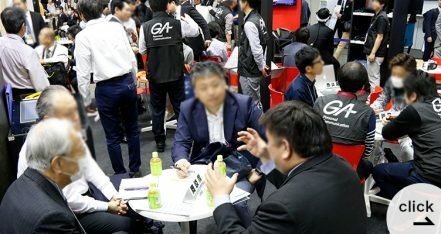 Cross-border business opportunities are brought about by co-locating these events. 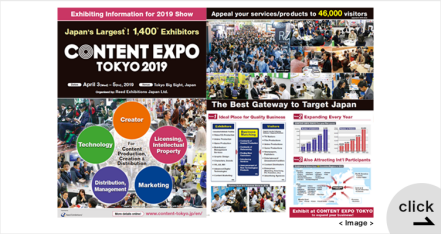 Go beyond the borders with CONTENT TOKYO! 2019/04/09　"Previous Show 2019" opened!